On March 5, Premier Li Keqiang made a Government Work Report at the opening ceremony of the Second Session of the 13th National People's Congress. NPC deputies from all over the world were encouraged by the Government Work Report and the confidence of China's development, determination to defend globalization and multilateral cooperation. What is particularly encouraging to them is the Prime Minister’s statement on safeguarding the interests of overseas Chinese. 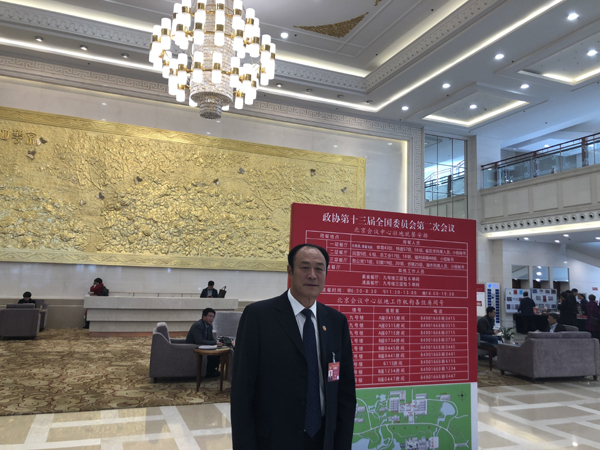 Shi Ganping from the U.S.
Shi Ganping, an overseas deputy from the United States, said that the report has the view of the overall situation including the foresight of problems and targets concerning people’s livelihood, which is very encouraging. " China will deepen reforms and promote innovation, to improve the quality of economic growth, and China's development will inject confidence to the global economy." He said that he was impressed by "inspiring the vitality of market players and focusing on optimizing the business environment", allowing enterprises to "use more time to embracing the market and fewer efforts for approval". Ma Yue from the U.S.
Ma Yue, an overseas deputy from the United States, said, "In the past year, China has achieved very gratifying achievements in all aspects of economic and social development. This has inspired overseas Chinese. At the same time, we also look forward to the new year. New achievements Development shall be achieved this year, and we will play the unique role of overseas Chinese." He said, "Although Chinese overseas work abroad, they always concern the development of the motherland. Every bit of change in China is closely related to us." Liu Jidong, an overseas deputy from Spain, said, "China will raise its fiscal deficit target, but the Chinese government has not only reduced education expenditures, and it guaranteed enough expenditures on people's livelihood. Therefore, people's livelihood and education are the most common and the most important issues for the Chinese government." Liu Jidong said that it was his honor and a responsibility to bring the spirit of the Two Sessions to Spain. 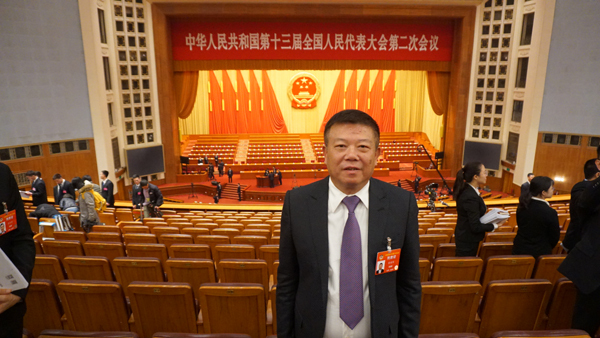 Guo Wenchang, an overseas deputy from Kenya, noted that the report mentioned reducing the tax burden on manufacturing and small and medium-sized enterprises, deepening the reform of the toll road system, and protecting the legitimate rights and interests of overseas Chinese and returned overseas Chinese. 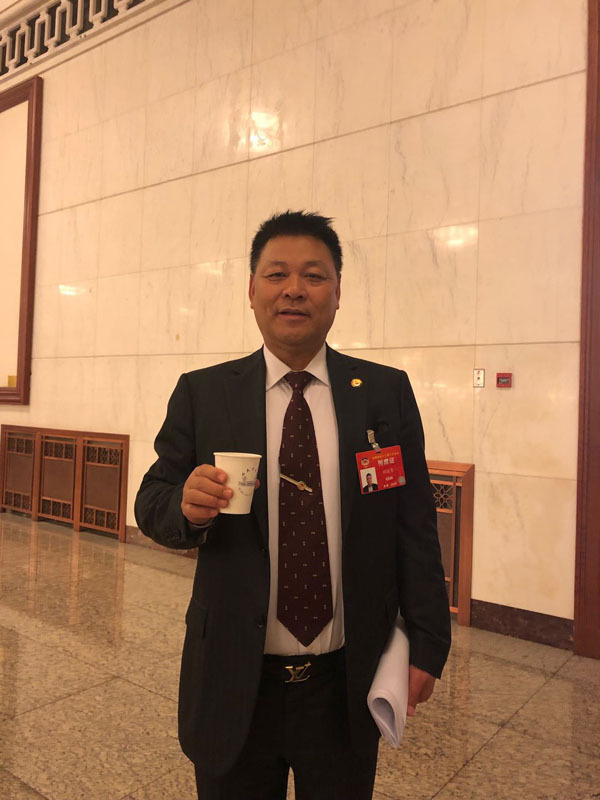 Guo said, "I want to bring the spirit of the Government Work Report back to Kenya, encourage the overseas Chinese to work for the innovation of "Belt and Road", to build a well-off society in an all-around way, and to realize the rejuvenation of the Chinese nation. " He concluded that overseas Chinese always concern China. Cai Guowei, an overseas deputy from Madagascar, concerned about issues on education, health care, pension, housing, food safety, and ecological protection. "There are very few detailed government work reports in the world that have such a strong execution." He also paid special attention to issues of implementing the overseas Chinese affairs policy, ensuring the legitimate rights and interests of overseas Chinese and returned overseas Chinese and their relatives, improving and strengthening services, and exerting their unique advantages and important functions". He said with confidence: "I believe that people will surely realize the Chinese dream of the great rejuvenation of the Chinese nation."